FAQs / How do I subscribe to ZoomChess? 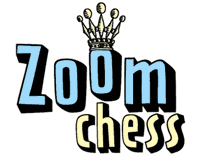 If you have already registered and have signed up for a free trial, you can subscribe by either clicking “Pricing” on the ZoomChess homepage OR from “My Account” on your Student Dashboard. If you have not signed up for a free trial, you should do so. You’ll get a better understanding of how the system works if you play ZoomChess before you buy. The game of Chess is not merely an idle amusement; several very valuable qualities of the mind are to be acquired and strengthened by it, so as to become habits ready on all occasions; for life is a kind of Chess.